Twitter is the most popular microblogging website where users can share something in 140 characters. Twitter is the best way to get breaking news. Most of the people use Twitter just because they can easily be a part of an online trend and can get what’s trending around the world. You can also search tweets based on hashtags and keywords to see how people are reacting to a certain thing. So, you will go and login into your Twitter account to see popular hashtags and tweets. Twitter Search is an important thing to search for recently trending topics. But what if you do not have the Twitter account and want to know what is trending around the world without logging into yor Twitter account. Very few people know that this search is available for everyone and you do not need to sign into your account. You can search for tweets based on various filters but you cannot tweet without login into your account. If you only want to search, see Twitter search page. 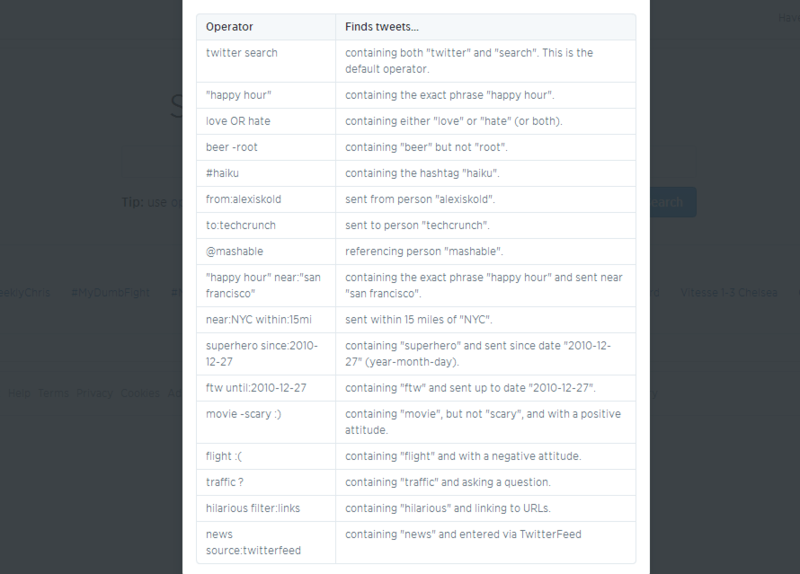 In this Twitter search form, you can add any keyword and find related Tweets. At bottom, it also shows the trending hashtags at the bottom. You can also use various operators to narrow your search criteria. In case you do not want to use operators, you can use the advanced search form to narrow your search and find what you are looking form. Advanced search also does the same thing in the backend and use these operators to perform the search. But it offers a proper form like interface to provide you the search option. So if you do not want to go into your Twitter account, you can use this Twitter search page to search Twitter tweets.